The ongoing debate over healthcare reform is as intense as ever, but nothing has been settled and there are still many compromises ahead before final bills are voted on in both the House and the Senate. Some of what the American public is hearing, however, has caused concern about how reform would affect them. The House Tri-Committee (Ways and Means, Energy and Commerce, and Energy and Labor) and the Senate Health Education Labor and Pensions Committee bills would require individuals to have health insurance and call for premium subsidies or cost-sharing credits for individuals and families with incomes up to 400% of the federal poverty level. Minimum coverage standards, such as preventive services with no cost-sharing, mental health services, and dental and vision for children, would be imposed. Exemptions may be granted for financial hardship. Employers would be required to provide health insurance coverage for their employees or pay a payroll tax to help subsidize coverage in the exchange. Small businesses, whose employees on average earn low wages, would be exempt and those employees could access coverage through the exchange. Certain small businesses that over coverage may be eligible to receive tax credits. Will reform make healthcare more affordable? According to President Obama and House Democrats, reform will make healthcare more affordable because it will eliminate co-payments and deductibles for preventive care and rate increases based on preexisting conditions, gender, or occupation; provide individual access to group rates; offer a sliding scale affordability credits (see individual mandate); cap total out-of-pocket expenses; and prevent waste, fraud and abuse in Medicare and Medicaid. 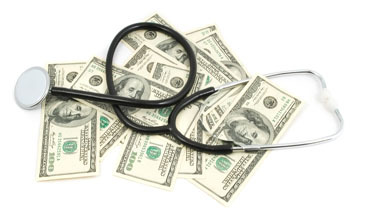 They say that without reform, healthcare costs for the average family will increase by $1,800 annually. What’s the likelihood of reform being made into a law? That’s the trillion-dollar question. Much will depend on whether lawmakers can compromise on controversial issues such as the public option, which Obama says is a “sliverâ€ of reform. (And left-wing Democrats say there can be no reform–or bill—without it.) In addition, the president and lawmakers must convince the American public, most of whom are insured, why reform is good for them. It is highly unlikely that any Republicans in either chamber will vote for healthcare reform. Democrats must also decide whether they have the courage to push a bill through via the controversial budget reconciliation process, which limits debate and requires only a simple majority to pass a bill.